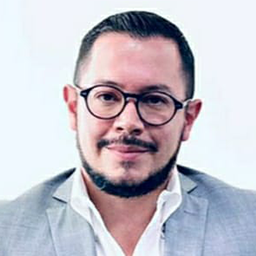 Jonathan Mendoza Iserte holds a Master’s degree on Law from the Centro de Estudios de Posgrado en Derecho and a Bachelor of Law from the Universidad Nacional Autónoma de México. Currently, he is Director General of Research and Verification on Personal Data Protection of Mexico’s National Institute for Transparency, Access to Information and Personal Data Protection (INAI). He is also a representative of the INAI’s Plenary and member of the Transparency Committee, as well as Technical Secretary of Commission of Supervision, Surveillance, Verification and Sanctions on Personal Data Protection. He is author and co-author of several articles published in magazines “Puntos Finos” and IDC, such as: "Privacy Notice: Obligation of the natural and legal persons for the protection of personal data", "Personal Data: The reasonable expectation of privacy," "Tax secrecy: Is it reserved or confidential information?," "Payments of Mexican companies to Foreign Residents for Software Licensing: Are They Exempted by Treaty?" "Capital Reductions, Is the Basis Determined in the Income Tax Law?," "Brief Considerations of the Reforms to the Fiscal Consolidation Regime for 2010," "Comments from the OECD: Interpretative Source of Tax Treaties?" He presented the book “Comments to the General Law of Transparency and Access to Public Information” published by Tirant Lo Blanch, and collaborated in the elaboration of the book "Legal security in tax matters," published by the Academia de Estudios Fiscales. He has been speaker in varios forums, such as: KnowledgeNet “Guidelines on the Procedures for the Protection of Rights, Investigation and Verification and Imposition of Sanctions," organized by the International Association of Privacy Professionals (IAPP); the “Socialization Workshop on the Brazil's Data Protection Bill” organized by the Brazil’s Ministry of Justice; and the Seminar “International Training Workshop on Electoral Administration for the National Electoral Commission of Tanzania” organized by the United Nations Development Programme, section Mexico. Jonathan Mendoza was INAI’s representative in the “43rd Asia-Pacific Privacy Forum,” organized by the Office of the Privacy Commissioner for Personal Data of Hong Kong and in the “44th Asia-Pacific Privacy Forum," organized by the Office for Personal Data Protection of Macao. He also served as Secretary of Agreements on Access to Information at the Federal Institute for Access to Information and Personal Data Protection (IFAI) and as advisor in the Coordination of Legal Affairs, as well as in the Administrative Secretariat of the Electoral Tribunal of the Judicial Power of the Federation. Likewise, he collaborated as an associate lawyer in the area of International Tax Law of the law firm Basham, Ringe & Correa, S.C.